We offer classes from traditional navigation with paper charts through cutting-edge Pilothouse Simulation courses—our goal is to make you a better, safer and more confident mariner. Class sizes are small and are designed to be hands-on, so that you are learning while doing—whether it’s Radar or Dead Reckoning. If you have a group or club that would like to schedule a private class, please contact robin@nwmaritime.org to make arrangements. Learn to interpret the images your radar is displaying with hands-on radar exercises in our Chart Room. This class includes an introduction to true and relative motion, range, bearing, and what that means to you and your vessel. You will also learn how to mark targets and track other vessels. Build on your basic radar skills with simulated collision avoidance exercises. Use vectors, bearing lines and range rings to navigate safely. You will learn to recognize other vessels, aids to navigation, harbor entrances, and hazards at night. 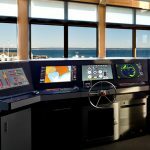 The class features our state-of-the-art marine simulator, which accurately demonstrates the lights of Puget Sound and the vessels you might encounter. Get a group of 6-8 folks together and we’ll schedule a class for you on your schedule! Please contact robin@nwmaritime.org to make arrangements. 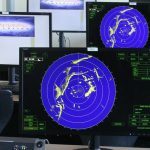 An 8 hour course that introduces you to all of the basics of navigating safely in our Pacific Northwest waters: paper charting, rules of the road, aids to navigation, vessel lights, electronic navigation and radar. This course is taught in a single 8-hour class on a Saturday. 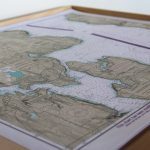 This classroom based program focuses on chart reading, navigational aids, navigational tools, compass use, latitude and longitude, dead-reckoning, triangulation, tides and currents, trip planning, boating resources for the Puget Sound and San Juan Islands, and how to safely cross the Strait of Juan de Fuca! If you were to lose your electronic navigation system, you would want to know where you were and how to get to shore safely! Tides and currents are a huge part of boating in many parts of the world. Knowing the forces at work, the resources available and the boat skills needed to safely operate is paramount to a successful on the water adventure. Kayaker, inflatable, sailboat or powerboat—all are affected by the rise and fall of the tide. 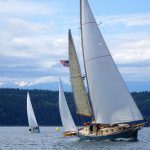 Whether a day trip on Port Townsend Bay or a trip up the Inside passage, this class will help you with safe boat trip planning. Growing up on an apple orchard in eastern Washington state, John Baird has been occupied by the nature of boats since the earth cooled off and calls himself a marine surveyor. Following graduation from Central Washington State College (Ellensburg) and a twenty-five career in horticulture and international food safety, strange currents led John to a multi-year adventure as trustee and general manager for the Steamship Virginia V in Seattle, the oldest continuously operating passenger steamer in the United States. As a USCG licensed Master he has developed nearly twenty USCG approved merchant mariner license training courses and delivered the first public high school OUPV license course in the nation. 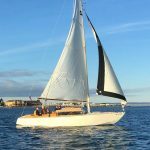 He is currently working with the Northwest School of Wooden Boatbuilding and conducts an introductory yachts and small craft marine survey course at the Northwest Maritime Center in Port Townsend. As NAMS certified marine surveyor and regional vice president John travels the western United States accepting assignments from yachts to commercial and new construction. He currently resides with his wife Nannette on Anderson Island in south Puget Sound. Small outboards are a critical component of safety gear and neglect can result in a variety of expenses. This is a hands-on workshop, so plan on getting dirty! Topics include the basics of simple and routine small outboard motor maintenance, including changing the oil, fuel, lubrication, electrical inspection, and diagnosis of common problems. The class will focus on two and four-stroke gas engines 15 hp and less. Several small engines will be available as a training aids during the workshop. March 23: Get your outboard ready for spring! This class will prepare you for the upcoming boating season. October 5: Time to put those engines to rest! This class will help ensure your engine is winterized. The wind is ever changing, sometimes chaotically and sometimes in more predictable ways. The atmosphere holds clues as to the strength of a gust and what direction it will come from or if there will be any gusts at all. Foreknowledge of gusts lets us optimize boat speed and course while avoiding dangerous jibes and knock-downs. The changing direction and speed of wind in gusts and lulls is evaluated for effect on apparent wind, sail trim, and helm response. Clouds tell us a lot about the weather to expect very soon and over the next few days. Will it be fair or rain, warm or cold? Will winds be strong or light and from what points of the compass? Will the wind be steady or gusty? 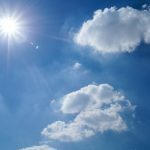 Learn the basic cloud types and the weather they foretell; how to judge cloud movement and growth; and what weather data you can use to decipher the message in the clouds. When you’re underway and internet weather data is beyond reach, the barometer on the bulkhead remains an essential tool to understanding and predicting the weather. Along with on-board observations of wind direction and speed, clouds, temperature, and precipitation; the barometer will identify trends in these key weather factors and help you avoid uncomfortable and possibly dangerous conditions afloat. Log Synopsis: Weather is described by many variables that affect a mariner’s daily life. 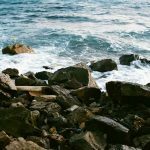 Wind speed and direction, atmospheric pressure, air and water temperature, and clouds all interact with the sea surface to shape the sailor’s world. Keeping a weather log will efficiently capture important data, organize it, and help you answer the many weather related questions that come up in a day on the water. Briefing Synopsis: We all check the weather before heading out for a day on the water. What do we need to know, where do we get the data, and how should it affect our sailing plans? The answers vary depending on whether it’s a day sail, weekend getaway, inside passage cruise, or ocean voyage. Learn how to do your own Daily Weather Briefing to ensure your safety, comfort, and enjoyment on your next outing. Class will describe strong wind systems you will find at home in the Pacific Northwest and cruising in the tropics. Learn how to read a weather chart and get the data you need to prepare both your boat and crew for heavy winds. Identify the telltale signs for high winds that may come in the next few minutes and in the days ahead. 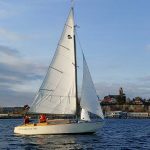 Learn how to avoid high wind conditions on your day sail, coastal cruise, or even ocean passage. Knowing the weather is key to sailing safer, faster, and with fewer surprises. Dave Wilkinson, holds a MS in Atmospheric Science from Oregon State University, is member of the American Meteorological Society and the American Sailing Association where he is a certified marine weather instructor. Dave teaches marine weather at the Northwest Maritime Center, for the Washington Sea Grant Program, and sailing schools in Seattle and Portland. 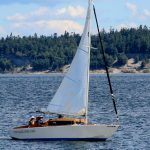 His sailing experiences in Mexico, the Caribbean, and New Zealand, as well as the Pacific Northwest, provide realistic context for describing key weather concepts. Presentations are organized and presented to help sailors build a fundamental understanding of the weather and its effects on the ocean. The focus is on the practical application of weather to build the knowledge and confidence to sail anywhere in the world and to make the boating experience safer and more rewarding.